Cher To Star in The Three Stooges? Bobby and Peter Farrelly are talking their new film The Three Stooges with the L.A Times! While they have denied they have even starting casting for their upcoming big screen adaptation of The Three Stooges, they did reveal to the LA Times, they have one actor in mind for the flick. 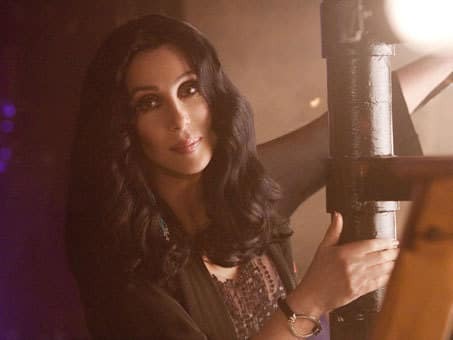 Apparently, Cher is number one pick to play the Mother Superior nun in the new flick. The brothers admit to the newspaper, they think Cher is the "coolest chick ever" and have been waiting to work with her again ever since they worked with her on Stuck on You. The roles of the Three Stooges is still unknown, but Andy Samberg and Johnny Knoxville have been rumored to be in the running to play Larry and Moe, although nothing has been confirmed. Larry: Don't worry, I know the Heineken maneuver! Moe: [bangs Larry in the head with a hammer] How 'bout now? Larry: Yeah, It's comin' on.